Absa poached a team of bankers from cross-town rival Nedbank to begin financing aircraft deals in Africa. The lender is encroaching on territory dominated by local competitors Investec and FirstRand, and international banks like Standard Chartered and BNP Paribas SA. 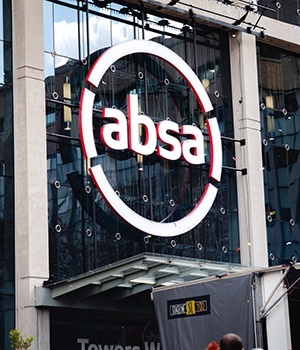 After breaking loose from its former British parent Barclays, Absa is chasing extra sources of revenue from the rest of Africa as it seeks to grow faster than its Johannesburg-based competitors until 2021. Nedbank, which also funds airlines in the Middle East, said it won’t stand still and remains active in the segment despite losing staff. An uptick in commodity prices is also increasing the number of countries it can target, the lender said in an emailed response to questions. While full of promise, Africa’s aviation industry is hampered by poor management, costly monopolies and high taxes on fuel that makes operating costs among the highest in the world, according to Sydney-based consultant Centre for Asia Pacific Aviation. South African Airways, which last made a profit in 2011, has needed several state bailouts to stay afloat, while Kenya Airways, the continent’s third-largest carrier, has been unprofitable since 2012. The lender recently joined La Banque Postale SA in providing an 18 million-euro senior debt facility to EWA Air, which is based in the French islands of Mayotte, for the purchase of two aircraft. The two new 64-seater airplanes will replace EWA’s leased fleet and will service flights between Mayotte, Madagascar, the Comoros Islands and Tanzania. Sub-Saharan Africa’s population could increase by more than a billion to 2.2 billion in the 20 years through 2050, according to United Nations projections. But airline passenger traffic growth is the slowest in the world, rising an estimated 3.6% in 2018, compared with a global average of 6.5 %, according to the International Air Transport Association. Capacity probably climbed 1.4% versus 6% worldwide, it said.